Since December I’ve been working hard on new commissions for a publication due out later this year. It’s really frustrating as I’ve sat at my desk every day making some rather beautiful samples and writing patterns, but because of my contract I’ve not been able to share a single photo (not even sneaky yarn teasers). 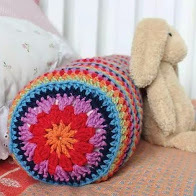 I do have a few designs coming up in issue 89 of Inside Crochet, but in the mean time here’s a reminder of a great free pattern I wrote a few years back. It’s the perfect gift bag for all those Mothers day treats you have planned and it’s easy to customise if you need to make it larger. I like to make these for friends and fill them with goodies such as bubble baths, chocolates or yarny treats. It’s so much nicer to make the packaging part of the gift. 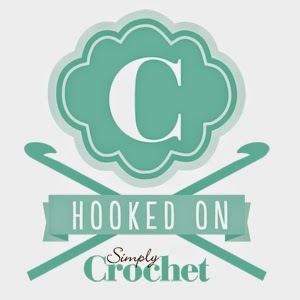 You can download the pattern from Love Crochet, or if you hop over to Ravelry you can get more inspiration from some of the lovely projects makers have shared. Also perfect for Mothers Day, or just to hang on the door and welcome spring is this gorgeous heart wreath. 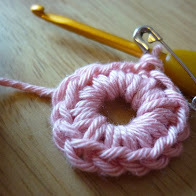 You can also use the flower to make pretty corsages or a cute pin cushion. You can find all the details here.